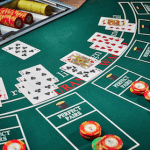 Blackjack and 3-card poker are arguably two of the best casino card games, and we think if you’re a fan of one of these games you’re sure to like the other too. Both games are a combination of luck and skill. Although the rules of each game are vastly different both have strategies you need to learn, practise and improve upon to be good at the game. You’re trying to beat the dealer by either getting a blackjack (where you get to 21 points with your first two cards) or by reaching a score closer to 21 than the dealer without exceeding 21. If the dealer busts and draws cards above 21 you also win. Numbered cards are worth their face value, e.g. a five of spades is worth five points. Face cards are worth ten points each. 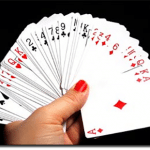 Aces may be counted as one point or 11 points at the discretion of the player or dealer. 2. You may choose to ‘hit’ which will add another card’s value to the two cards you already have. Although you’re trying to get as close to 21 as possible you have to be careful not to ‘bust’ and go over 21. 3. The dealer must keep getting cards until their hand is worth at least 17 points, or higher. Straight flush: when your three cards run in an unbroken sequence and are in the same suit. Three of a kind: when all your cards are of the same rank. Straight: when your three cards run in an unbroken sequence. Flush: when all cards are of the same suit. If no one has anything then whoever holds the highest card wins. 1. Before cards are dealt you place your Ante bet, which is essentially betting on yourself to beat the dealer. 2. You and the dealer are both dealt your three cards. 3. After looking at your hand you can decide whether you want to raise and match the original Ante bet to see the dealer’s hand or you can fold and not lose any extra chips. 4. Hands are turned upwards to see who has won. They are casino games where you get to call the shots. They’re skill based. In blackjack it’s whether to ‘hit’ or not, in 3-card poker you control the game with whether you’re raising your bets or not. Playing either game gives you an authentic casino experience, with suspense and excitement. You have the chance to take in a big win in either game, which makes playing all the more enthralling. There’s always an unpredictable element of luck. Not knowing what will be dealt next, but having the chance of it being something good is part of what makes gambling such an enjoyable leisure activity. The luck of the draw is an enjoyably unpredictable component of the two games. Note: This page is intended for our international readers only. Online gambling is illegal in Australia following the introduction of the Interactive Gambling Amendment Bill 2016 in September 2017, so for Australians the content on this page is informational in nature only. Guts Casino has a whole heap of different gaming software developers including; NetEnt, Microgaming, BetSoft Gaming, OMI Gaming and IGT. As a result of having multiple game creators there gaming library has an exciting variety to it. They have casino games that you won’t find at any other Web casino. 3-Card Poker: Guts Casino’s 3-card poker game is called Poker 3 Heads Up Hold’Em. It’s an exciting animation game with incredible graphics. It sets you in the perspective of a player with hands coming forward to deal cards and place chips. It sets you directly opposite your opponent who looks scarily life like, and moves like a real player. The amazing graphics and animation is both impressive and immersive. Blackjack: They also have a lot of blackjack variants from different gaming software developers. Their blackjack types include; Atlantic City Blackjack, Multi-Hand Premier Blackjack Gold, Blackjack Classic, Double Exposure Blackjack, Pontoon, Pirate 21, Blackjack Pro 3 Hands, Single Deck Blackjack and Super 7. They also have multiple live dealer blackjack rooms running round the clock. As their name would suggest, All Slots Casino is best known for their slots games. They have over 500 slots games so if you’re a pokies fanatic we highly recommend their site. However they don’t just have slots games, they have over 200 other casino games including all the standard table games and a number of variants for each. If you like playing with real money you can trust All Slots Casino, they have earned the internationally recognised eCOGRA seal of approval for security and fairness so you can be sure your money will be in safe hands. 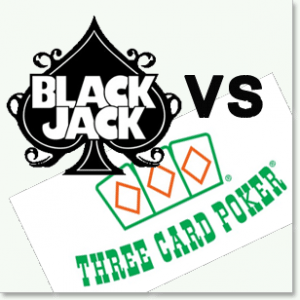 3-Card Poker: All Slot’s version is called 3-Card Poker Gold Series, found under the table games category. This game gives you an authentic casino experience; the backdrop is a classic dealing table, the animations are smooth and the ambient sound is what you would get at a classy land-based gambling establishment (think grand piano music and mild background chatter). It’s a flash-based game so you can play instantly. There’s great flexibility in how much you choose to bet, virtually any amount between $1-$200 is possible. It’s a nice, original version of 3-card poker that gives you an experience similar to what you would get at a brick-and-mortar casino. 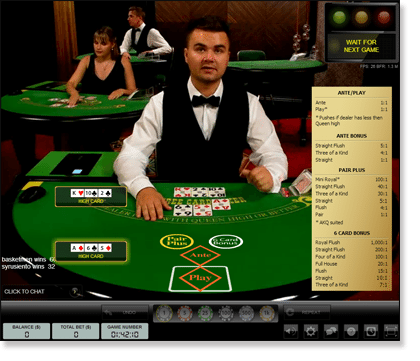 Blackjack: All Slot Casino has several of the highest table limit blackjack tables that we know of. This has not come to the detriment of their lower spending players, including; Atlantic City Blackjack Gold, Multi-hand European Blackjack Gold, Vegas Strip Blackjack, European Blackjack Re-deal and Atlantic City Blackjack. G’Day Casino sources their games from the creative gaming software developers at White Hat Gaming meaning they have a rich selection of unique and innovative games. G’Day Casino let’s you play all of their games for fun or for real money, so you can get the hang of a game before you invest any money in playing it. They use 128-bit Secure Socket Layer digital encryption to protect all your transactions and personal information, so if you do want to play 3-card poker or blackjack with real money on their site it’s guaranteed to be safe. You can choose to bet unique amounts on each hand. Having the option of being able to have three hands in a game adds a new challenging dynamic that adds a lot to the gaming experience. Blackjack: There are plenty of quality blackjack variants at G’Day Casino, some of which include; American Blackjack, Blackjack Players Choice, Blackjack Pro High, Single Player Blackjack, Blackjack Classic, 21 Burn Blackjack, Double Exposure Blackjack Pro, European Blackjack, Pontoon, Single Deck Blackjack, Blackjack Sixth Sense, Super 7 Blackjack and more. They also have live dealer blackjack games, where a live dealer, who you can interact with, deals your cards to you in real time via video stream.